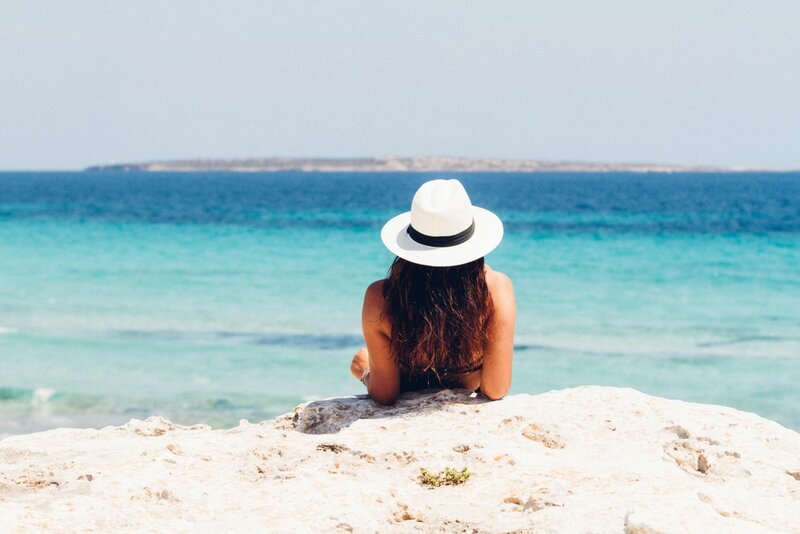 52 Unique Items Female Travelers Should Be Packing. 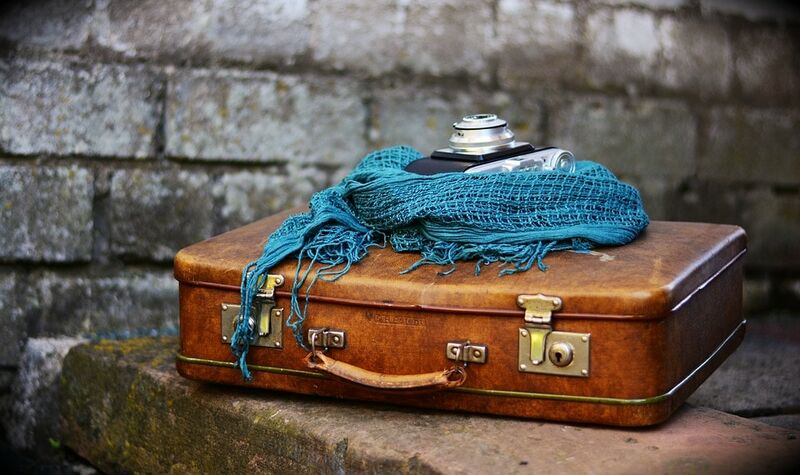 Here’s a selection of 52 travel gear items designed with the female traveler in mind. All the gear and accessories to help you buy the best travel shoes for women. Ultimate Travel Accessories Selection. 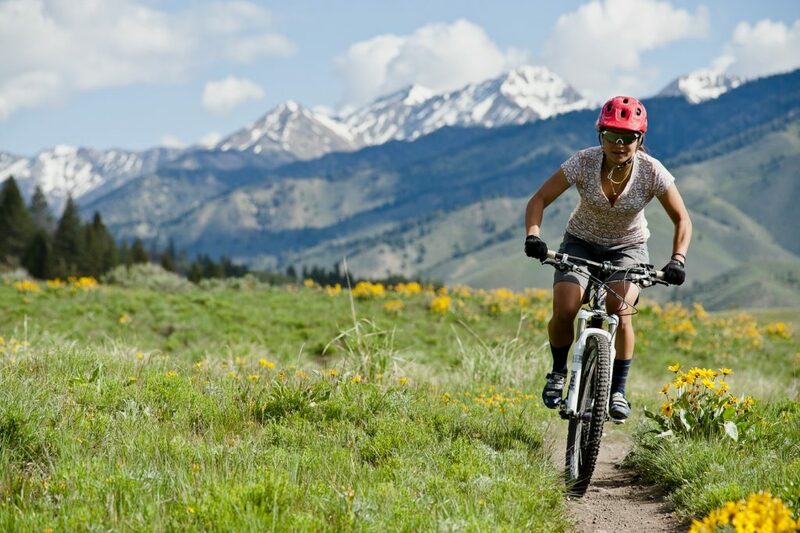 52 Perfect Picks for Women’s Travel Clothes & Gear. The Best Women’s Travel Gear and gifts for Valentine’s day or a birthday! Diane Kroe’s skirt/dress has a multi-way design has specialty snaps that allow this dress/skirt to be styled for a variety of different looks. Also, the fabric’s anti-bacterial Chitosan fabric finish enables travelers to stay fresh and odor free and fresh all day. Passion Lillie’s sarong is hand block printed using eco dyes and can be worn as a skirt, scarf, dress, wrap, or used as a picnic blanket or beach towel. The Nu-Muu A-line cut dress works well for going from exercise to a business casual dinner. Two discrete back pockets can stash essentials like keys and money. Those looking to make a splash when cycling during their travels might want to check out these colorful offerings from Terry Bicycles. Their tops come in bold prints have rear end pockets for stashing essentials while their cycling shorts offer a sleek fit. Made from high quality, quick-drying fabrics that provide UPF 50+ sun protection and superior Ultra® chlorine resistance, HydroChic’s collection of tops, shoes, pants, swim dresses and swim skirts in a wide range of sizes that work well for swimming and beach activities. From Craghoppers comes some durable offerings that can transition from the beach or the mountain to a business casual meeting or dinner. 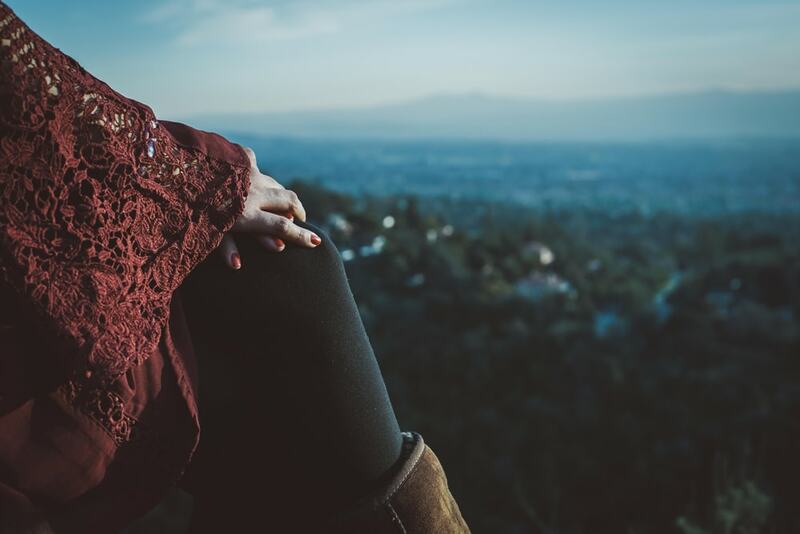 Choose from their fall/winter or spring/summer selection of skirts, dresses, pants, shorts, shirts, and jackets designed to keep one protected from the elements in style. Many of their products come with Insect Shield that provides breathability and protection while deterring insects. Travelers looking for versatile clothes that can withstand the rigors of cycling but also allow one to attend a business casual gathering should check out the line of clothing from Club Ride. Their clothes have clean crisp lines that look stylish, not too-sporty but are also flexible enough that one can move with ease when cycling. REI’s Co-op Sahara convertible pants give a slim fit and stretch fabric to provide comfort when traveling. A zipper design allows for these pants to be easily converted into shorts. For two lightweight layering options that can help travelers stay warm without sweating when the weather changes, pack along their Co-op Silk v-neck shirt and midweight baselayer tights. Third Love’s’s classic t-shirt bra creates a smooth silhouette that continues to feel comfortable and hold shape even during long-haul flights. Pair this with ExOfficio’s Give-N-Go Lacy™ bikini brief. This underwear is quick drying and moisture wicking and treated with Aegis Microbe Shield to control odor-causing bacteria. ShouldIT’s convertible Infinity Scarf with pocket can be worn as a neck scarf or shrug with a discrete pocket that can hold keys, identification, money and other items. Chaco’s Pineland Moc works well as a durable leather shoe that can go from hiking to a business casual gathering. Icebug Juniper RB9X GTX is a clean winter sneaker built on a running shoe platform, thus making it a great shoe for light hiking, working out, and strolling around the city. The shoe’s proprietary rubber compound provides durable traction while the waterproof exterior helps keep one’s feet dry in inclement weather. Keen Uneek is a Huarache-inspired sandal that features a woven-cord upper featuring an adjustable drawcord lacing, non-marking rubber outsoles, and a cushioned strap to support the ankles. 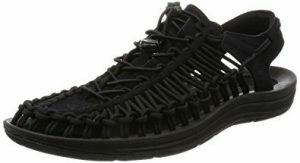 These shoes are very sturdy so one can kayak or hike in them all day with ease. Also, as they dry very quickly these shoes work very well for traversing from beach to bar. Here are three selections of insoles for those who would like to provide some extra cushion in their travel shoes. The FLEX Superfeet offers an affordable insole that offer arch support and shock absorption in three different thicknesses. Sorbothane’s insoles feature unique liquid-solid properties that allow it to absorb shock and isolate vibration at low and high-frequency ratios. Also, the Sof Sole Gel support insole utilizes breathable gel capsules in the footbed to keep one’s your feet comfortable and cool while perforation in the top cover promotes air circulation to keep one’s feet dry. MP Magic socks enable one to travel all day while keeping one’s feet odor free and cool. These comfortable and breathable socks are infused with zinc, copper, and silver, with a timeless look that work well with many styles. For a sturdy pair of quick-drying socks suitable for hiking, check out Hi-Tech’s hiking crew socks. They arch compression and targeted zone cushioning at the ball and heel of the foot that provides durability and reduces foot fatigue following a full day of hiking. Those looking for compression socks that can help increase circulation on long-haul flights without being too restricted may want to check out the stylish range of socks from TravelSox . For a more sporty option, Sockwell’s Sport Flirt moderate compression socks features spandex throughout the sock that offers graduated compression. 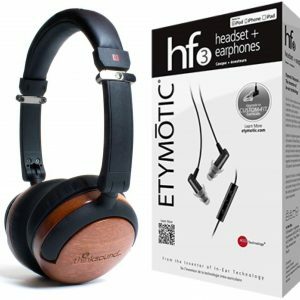 Etymotic’s hf3 Earphones + Headset are high-performance noise-isolating earphones with a built-in mic that allow one to listen to music in peace and make calls as need be. The UE Roll 2 is a portable waterproof speaker that can be taken anywhere. KnowRoaming’s international SIM card gives one a relatively inexpensive option for making calls and accessing data both within the United States, as well as a range of countries. RAVPower’s HyperAir offers the fastest charging speeds on contact for both iOS and Android devices – all with the same charger. Also, their 22000mAh 5.8A 3-Port Portable Charger can charge up to three devices simultaneously and work well for longer flights. For a truly compact charging option check out the Anker PowerCore+ 10050 portable charger. Kanex’s DuraFlex line of Premium Lighting Cables that are much more sturdy than traditional plastic cables. Logitech Keys-To-Go for iPhone is a standalone ultra-portable keyboard that is thin, light and durable with a water-repellant FabricSkin covering that helps to protect the keyboard from dirt and spills. The Ventev Global Charging hub 300 or the SKROSS: World Adapter MUV USB have dual USB ports to charge multiple devices simultaneously along with retractable prongs that can plug into outlets at many countries. 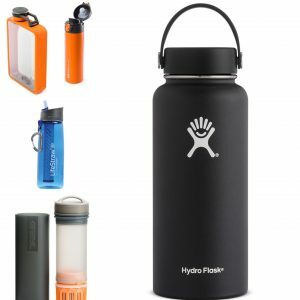 Hydroflask offers a collection of steel water bottles and food flasks that can perform in every environment. These items are PBA-free and bacteria resistant and can keep contents hot for 12 hours and cold for 24 hours. For those seeking to keep their water purified while pack along the LifeStraw Go 2. This BPA bottle has a flop top bite valve so grabbing a drink is a breeze. For another portable option to keep water purified check out Ultralight Purifier Bottle. Just fill up the bottle from any nearby stream, then press and have purified water ready to drink in 15 seconds. GSI Outdoors’ Microlite 500 vacuum-insulated steel bottle is incredibly lightweight and keeps drinks hot for ten hours and cold for twenty hours. For a compact extremely lightweight device for drinking on the go, check out their shatterproof Boulder flask. 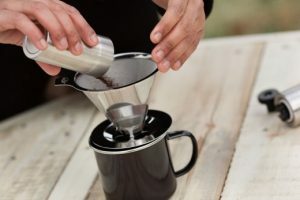 Thanks to the JavaPresse’s pour over coffee dropper and coffee grinder, one can ditch the instant coffee packs and actually brew fresh coffee on the go. Pair this with their manual grinder for a portable means of grinding coffee beans for the freshest taste. 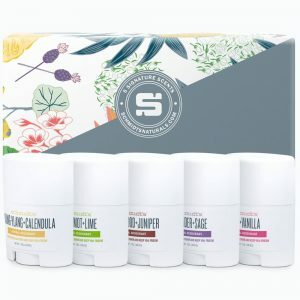 Be Natural Organics!’s natural anti-aging collection is perfect for those short getaways where one wants to have a rejuvenating spa experience in the hotel. This package includes a collection of 1 oz. products designed to cleanse, exfoliate, balance, moisturize one’s skin. The Essential Burts Bees Kit contains a list of travel size essentials of natural ingredients including a deep cleansing cream, hand salve, body lotion, and beeswax lip balm. Dr. Bronner’s pure Castile soap with hemp (2 oz.) comes in a range of scents and is ideal for washing one’s face, hair, body as well as doing the dishes, laundry and other cleaning tasks. Davines Haircare’s OI shampoo and conditioner come in 3 oz. travel sizes and are a luxurious treat for those who like to pamper themselves when traveling. Deborah Lippmann’sStripper to Go nail polish remover saturated with lavender and aloe is little finger mitt that can remove polish with no mess. Pirouette Essentials’ Natural Body Bliss lotions (1 oz.) come in a range of scents to match one’s mood. Pair this with their botanicals soap sampler (1 oz.) and travel size pure botanical perfumes (2 ml.) for a truly aromatic mini-spa experience while on the road. Action Wipes are natural pre-moistened body wipes that give one an instant bath when one takes a red eye or is on a camping trip where they need to freshen up but there’s no shower available. Also, the wipe can be repurposed to use in cleaning off camping gear, wipe up spills and other minor messes. Lulu Organics’ 1 oz. organic talc-free hair powder is the perfect fix for those days when one needs to refresh one’s hair but a shower is not a viable option. Keep one’s skin protected against the elements all day with Supergoop! Their 1 oz. defense refresh setting mist (SPF 50) control oils and set one’s makeup while protecting against UV elements. For another facial option, pack along their 1 oz. 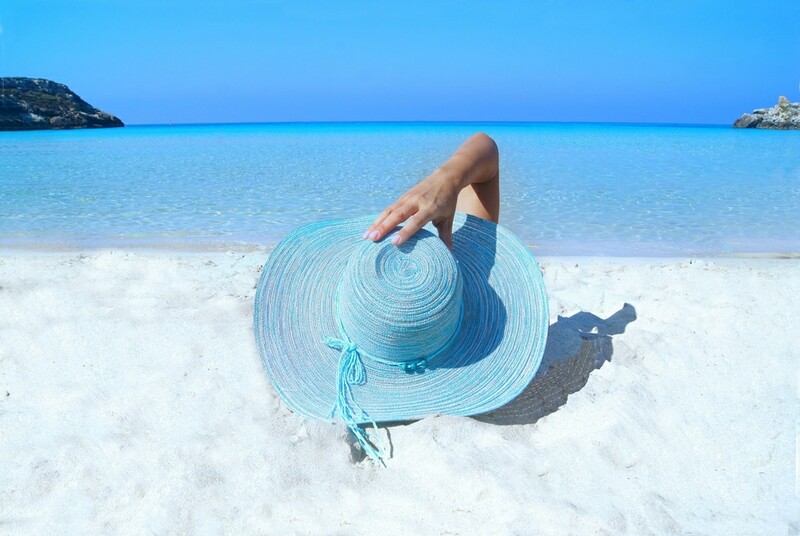 sun-defying sunscreen oil (SPF 50). Prevent sunscreen bottles from leaking all over luggage with Raw Elements’ USA water resistant eco formula 30+ lotion tin. Other mess free options include Babo Botanicals’ broad spectrum (SPF 50) zinc sunscreen stick and BullFrog Land Sport Quik Stik SPF 50. Lush‘s fresh organic products made by hand work very well for those looking for a natural feel. Pair their Seanik shampoo bar (1.9 oz) with their solid Jungle conditioner (2 oz. ), two products that come in a metal tin for ease when traveling. Also, their Breath of Fresh Air toner (3.3 oz.) can refresh and soften one’s face with seawater spray containing carrageen (seaweed) extract. Lewis N. Clark‘s wide range of travel accessories makes traveling a breeze. In particular, be sure to check out their RFID passport case, see-through toiletry pouch (perfect for passing TSA screening), water resistant pouches, lightweight packing bags, travel locks, eye masks with earplugs, and portable clotheslines. When camping or having an outdoor cookout, pack along the Luci Solar Lamp. 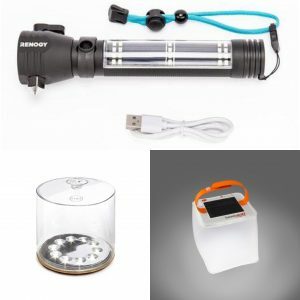 With four versatile light settings, this device can function as a lantern, a flashlight, and an emergency light. This lamp fully charges in 8 hours under full sunlight with one charge lasting up to 12 hours on the lamp’s bright setting. Those looking for a multi-colored option can check out the LuminAID Solar Lanterns They light up in several colors, thus making them ideal for those looking for a festive feel. Both lanterns can be recharged in the sunlight. Renogy’s E.LUMEN Multi-Functional Flashlight is a solar panel multi-user aluminum flashlight. The headlight can reach up to 200 meters while the device’s 2000mAh Lithium-ion battery can charge small electronic devices like one’s smartphone. The flashlight can also be used in emergencies as a seatbelt cutter and window breaker. Charge this flashlight under the sun or via a USB cable. The Sea to Sky Umbrella Combo features a large, double vented canopy that provides superior wind resistance and UPF of 20. A separated modular telescoping pole with a pointed tip is stored in a convenient shopping tote and transforms this umbrella for use on the beach. Also, Gustbuster’s 43” steel metro umbrella can handle blustery winds and rain in style with a sheath the doubles for backpack or over-the-shoulder carrying. The MIMIC fits the contours of one’s hand and provides full body massage. It’s waterproof so it can be used in the shower for an early morning wake up call. The super soft Trtl pillow wraps around one’s neck to provide support that contours to one’s body for a comfortable sleep. Discovery Trekking’s Ultra Fast-dry Towels dry faster than microfiber towels and remain odor free thanks to a silver antimicrobial technology. Also, these large towels can also be used as a travel blanket, a sarong and a scarf. For an emergency energy boost pack along RawRev Glo bars. These high protein and fiber bars are vegan, gluten-free and yet actually taste good. Pair this with a GO Cube that contains half a cup of coffee (50mg Caffeine). 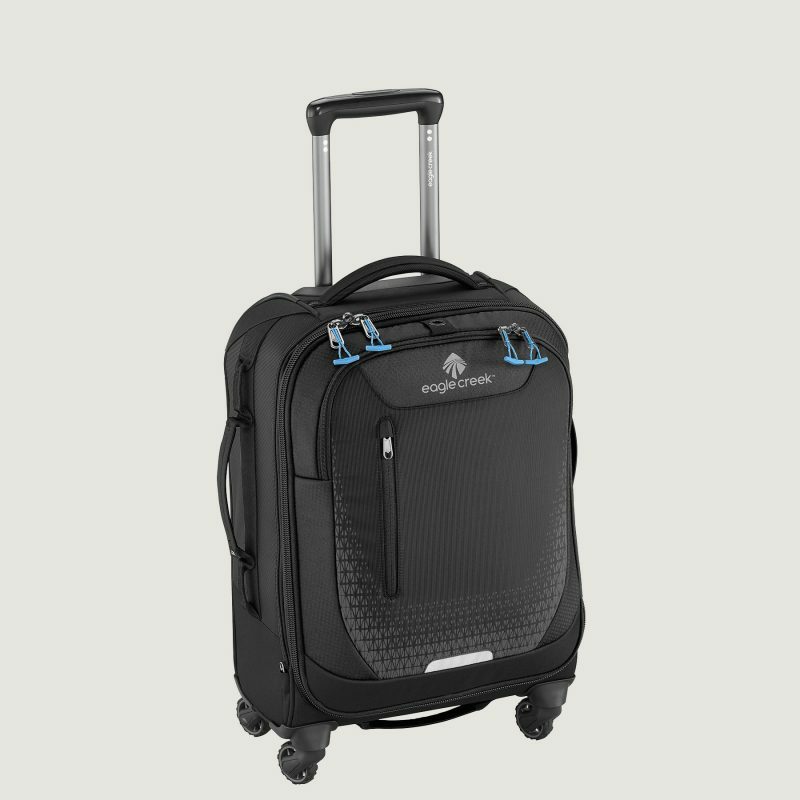 Eagle Creek’s International Carry On Upright from their Expanse Collection can fit in the smallest of overhead bins, as well as functioning as a backpack or wheeled luggage. Eddie Bauer’s 45L Maximus Duffel Bag TPU-coated for weather resistance and packs down into its zip end pocket and easily stowed in a suitcase. Also, the Hammock Bliss ultralight travel daypack packs into the size of a softball and can be expanded to carry all one’s gear needed for a day outing. Keep small clothing items organized while on the go with the water-resistant TUO Travel Organizer. In addition, Baggu’s reusable standard bags fold into a small pouch but can hold up to 50 pounds when one needs an extra shopping bag. Also, store travel snacks with Fenigo’s Colibri reusable machine-washable cloth bags.